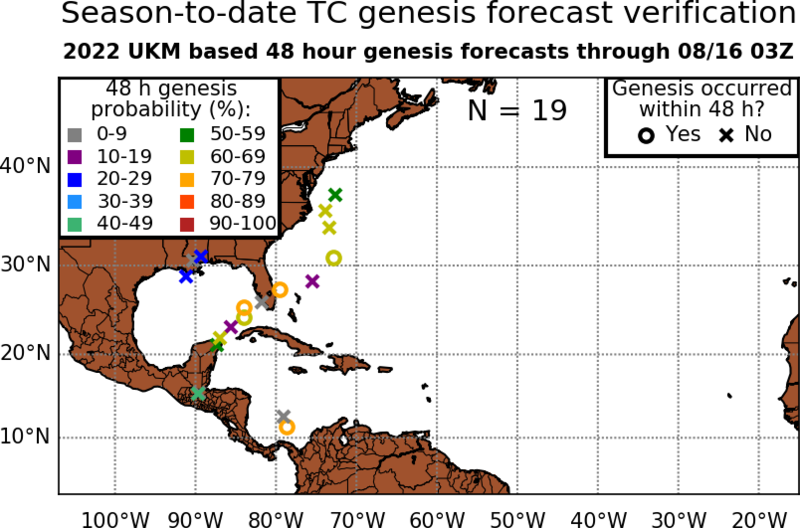 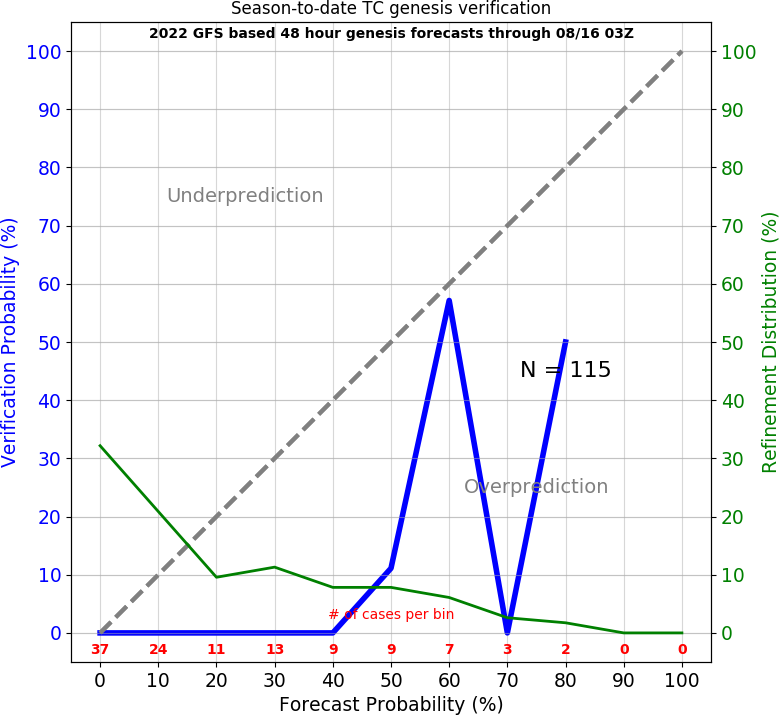 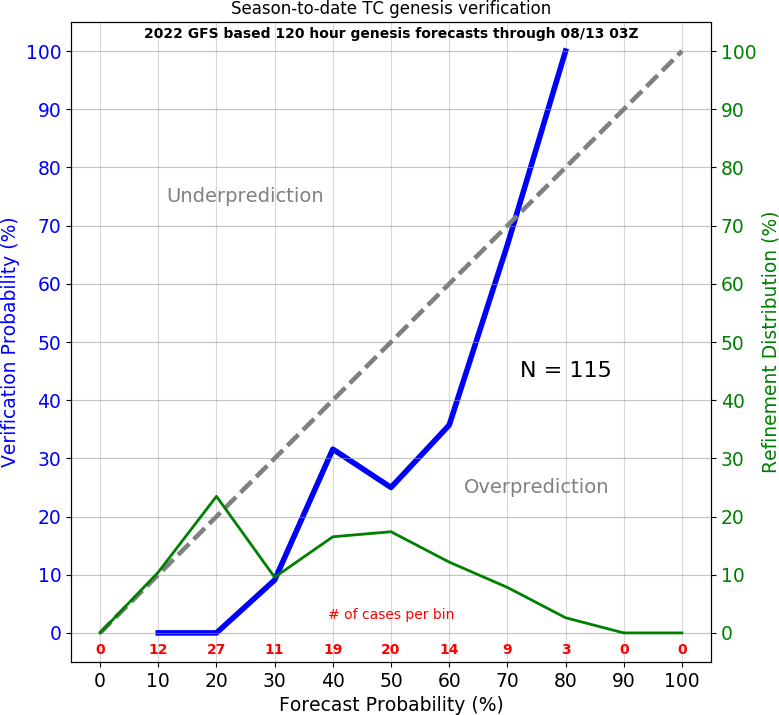 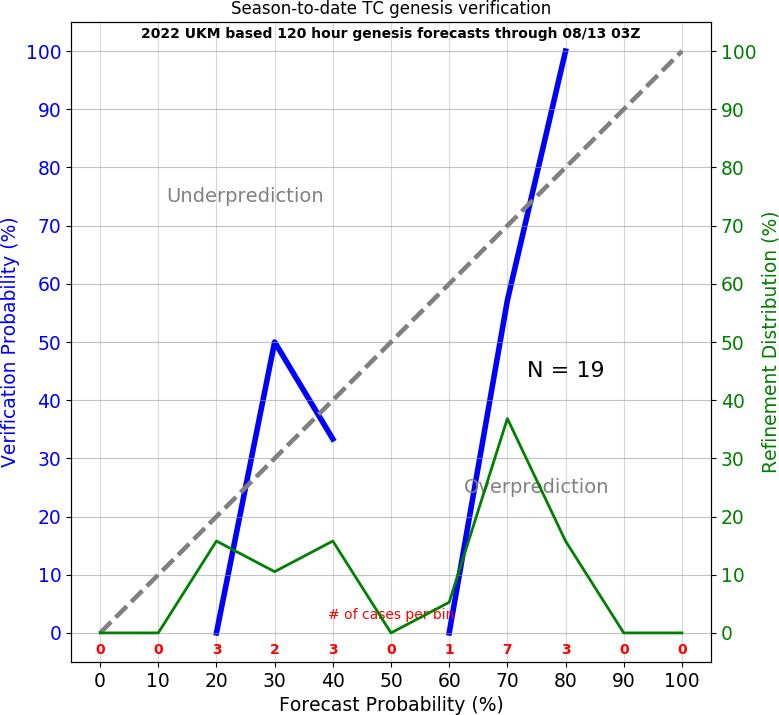 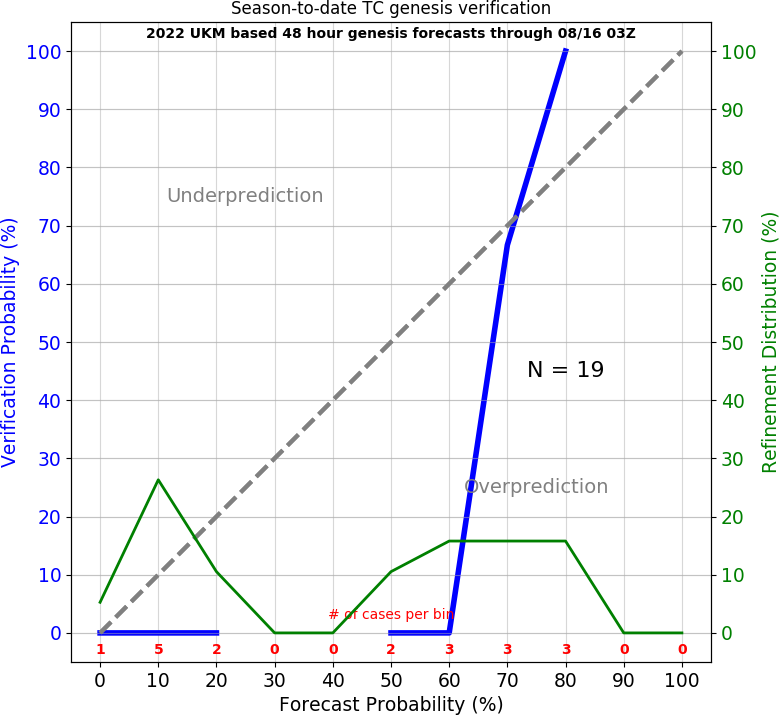 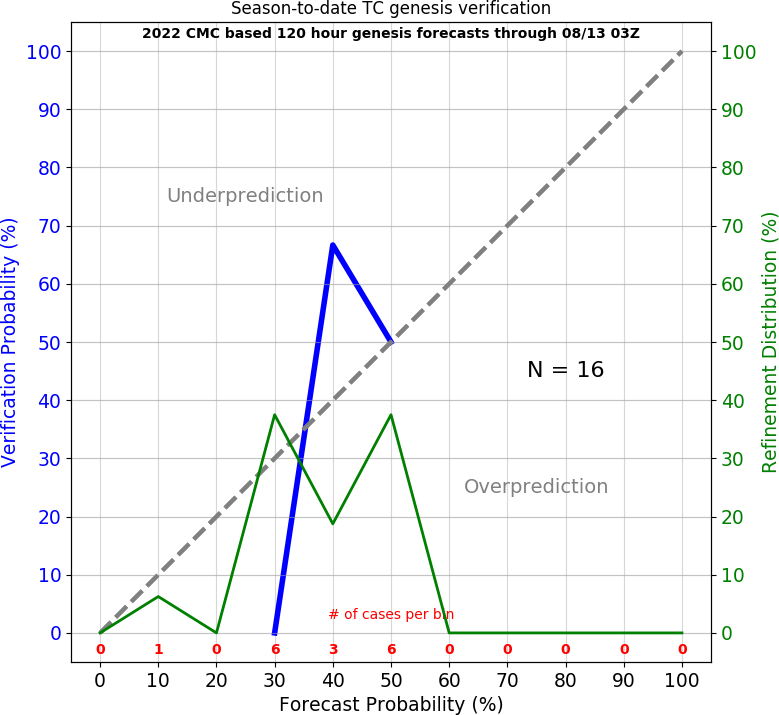 NOTE: The verification time and location of genesis is defined as the first entry of a tropical depression or tropical storm in the ATCF a-decks. 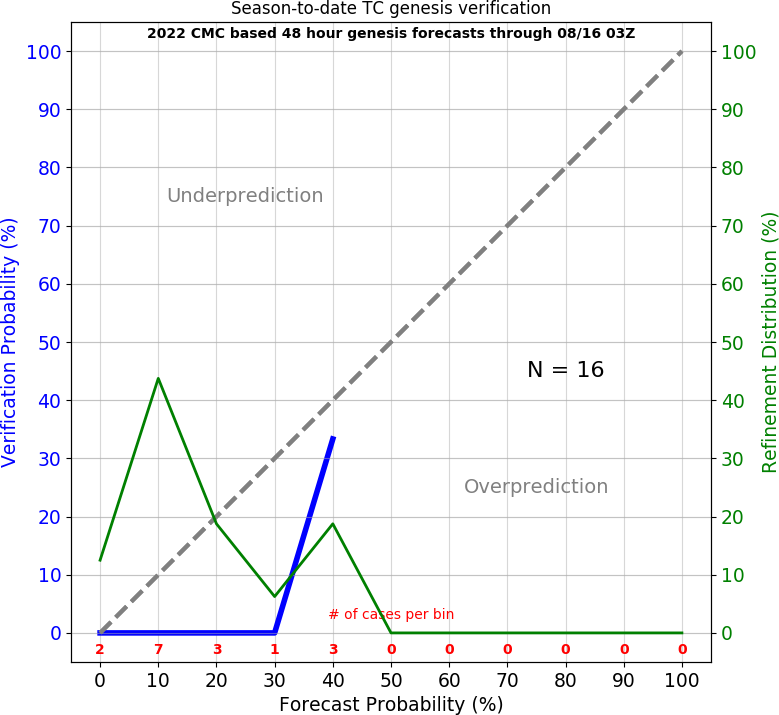 NOTE: All products on these pages are experimental and should NOT be considered an official forecast. 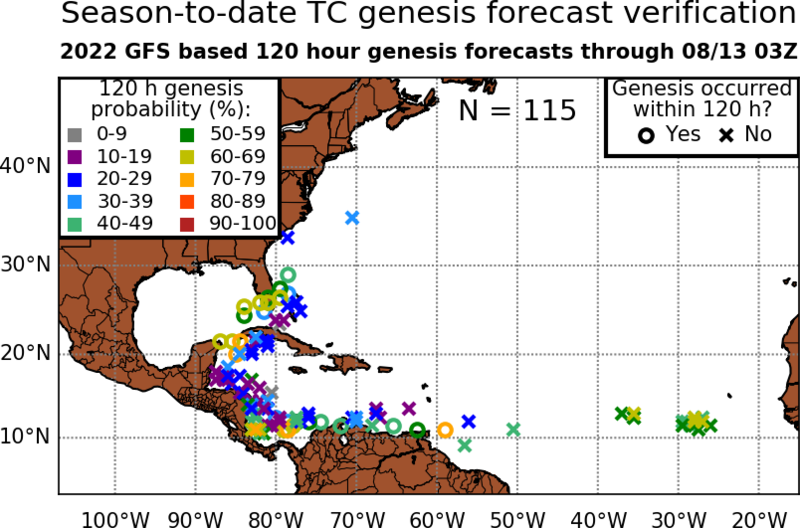 Please refer to the National Hurricane Center for official forecasts.